Plexus Worldwide, an Arizona-based MLM that markets nutritional supplements, weight-loss, and personal care products, calls itself the “health and happiness” company and boasts that it offers life-changing financial freedom for recruits who only have to spend a few hundred dollars toward start-up costs. From military members to stay-at-home moms, the company promises an opportunity to make “extraordinary income” for little risk. But a TINA.org investigation into the company has found extraordinary issues that could put a darker spin on the meaning of life-changing. These health claims appear on a website called Trello that provides information organization tools for companies. The FDA issued a warning to Plexus in 2014 after it found that the company was marketing several products, including BioClense, ProBio5 and Fast Relief, illegally as drugs because it was making claims that the products could treat certain health conditions. Despite the FDA warning, TINA.org has found more than 100 inappropriate health claims regarding Plexus products which make a range of treatment claims for everything from depression to cancer to Lyme disease. This site alone pictured above links to testimonials claiming that Plexus products can treat, well, you name it. 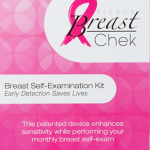 One of the first products marketed by Plexus was its Breast Chek kit, which the company claims helps women find lumps more easily when performing self-exams. The product’s label says it is “recommended by Doctors and Nurses” but the company provides no specifics on its website about exactly who is doing the recommending. More troubling, some distributors have stated that the kit has FDA approval. It doesn’t. Additionally, the American Cancer Society (ACS) requested that Plexus stop using its name in promotions relating to National Breast Cancer Awareness Month. The ACS said it does not recommend breast self-examination as any early detection method for breast cancer because evidence does not show that regular breast self-exams help reduce deaths from breast cancer and it was not teaming up with Plexus as some distributors indicated. More of TINA.org’s coverage of this issue and the company’s response can be found here. Plexus has been aware of the lead in the Covered Products and has failed to disclose the presence of this chemical to the public, who undoubtedly believe they have been ingesting totally healthy and pure products pursuant to the company’s statements. Overseas, both Canada and Australia have issued safety alerts regarding Plexus Slim Accelerator, a weight-loss product. Health Canada issued an alert in 2014 warning consumers that Plexus Slim Accelerator capsules and Plexus Slim Accelerator 3 Day Trial Pack were not authorized for sale in the country because they were found to contain DMAA, a substance linked to serious health issues and also banned in the U.S. The Australian Department of Heath also issued a warning about the products in July 2013 saying that because they contained undeclared DMAA they “pose a serious risk” to consumer health and should not be taken. Plexus currently sells a product with a slightly different name, Plexus Accelerator. In a statement to TINA.org, Plexus said that its testing shows its products are below the Proposition 65 threshold, but out of an abundance of caution it displays warnings on the ones subject to the laws that are shipped to California. The company also said it stopped selling the Accelerator product that contained DMAA and launched a reformulated product in 2013. Facebook post by a Plexus distributor. There’s a plethora of posts on social media boasting that by becoming a Plexus distributor you can pay off college debt, stay at home with your kids, work part time all while earning oodles of money. The company itself claims recruits can achieve financial freedom by climbing distribution levels to become an Emerald, Sapphire or Diamond within weeks. And once there, you can take exotic vacations and drive your newly earned Lexus bonus car. All you need to do is pay the $34.95 annual membership fee, purchase a $99 or $199 “Welcome Pack,” obtain a minimum of about $100 worth of product each month and additionally recruit others who also have to do the same. Your success, the company states, depends only on your effort, commitment, and skill. But now the facts: The only thing that really is slim is your chances of getting rich. Less than one percent of Plexus distributors earn six figures or achieve a high enough ranking to earn the Lexus car bonus, according to the company’s most recent income disclosure statement. 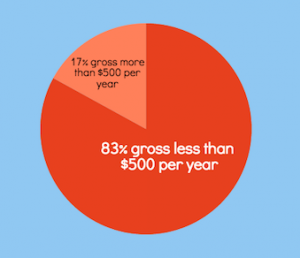 More than three-quarters of distributors make less than $500 a year. And more than 99 percent make less than the average U.S. per capita yearly income of about $28, 500. But you wouldn’t know that based on the multitude of income claims posted on YouTube, Twitter, Facebook and Instagram. A legitimate multi-level marketer must accurately represent its business opportunity and what a participant is likely to earn. These representations must be truthful, non-misleading, and substantiated. Practically speaking, this means that multi-level marketers should stop presenting business opportunities as a way for individuals to quit their jobs, earn thousands of dollars a month, make career-level income, or get rich because in reality, very few participants are likely to do that. Although it may be true that a very small percentage of participants do have success of this type, testimonials from these rare individuals are likely to be misleading because participants generally do not realize similar incomes. Most distributors in MLMs actually made less than $10,000 per year, with a median annual gross income of about $2,400 or only $200 per month, according to statistics the Direct Selling Association provided to the FTC, she noted. So, get rich? Not so much. Plexus is entangled in a myriad of lawsuits including those between founding members. Former partner Alfred Pettersen filed a lawsuit in 2015 against Plexus and CEO Tarl Robinson in which he alleges that Robinson defamed him with false accusations in order to freeze him out of the company and gain full control of it. The case is still in court. In 2013, Gregory Spencer, who developed Dr. Spencer’s Breast Cream — previously marketed by Plexus with claims that women’s breasts “often become quite toxic” and that the cream will help eliminate the toxins stored in the fatty tissue in breasts — also alleged Robinson pushed him out of the company and denied him his due share of distributions. That case was settled. In addition, the company has filed several lawsuits against former distributors who left to join other MLMs, claiming they violated company agreements by recruiting Plexus distributors to join them at their new companies. The FTC has received more than 800 consumer complaints about Plexus. An overwhelming majority of the complaints — more than three-quarters — are from consumers who said Plexus repeatedly charged them for product shipments they didn’t want. When they tried to cancel the shipments and get refunds, they couldn’t reach any customer service representatives or their requests were repeatedly ignored by the company. Customers also complained that Plexus refused to honor its money-back guarantee and give them refunds even after they had adverse reactions to the products or they told the company the product was not working as advertised. Many complaints also came from Plexus distributors who said they signed up as an ambassador to receive the products at a lower cost but then were surprised to be told that because they were distributors they had a shorter amount of time to return products. And like their customers, they also couldn’t reach company representatives when trying to return items. Some also questioned the company’s recruitment-focused business structure. I have attempted to cancel my Ambassador member with Plexus as well as my spouse’s recurring order with Plexus. You cannot get through on their phone lines– as they will not respond to email (which they tell you to do on the phone.) I have now been billed for 6 months of product I did not want ($1000). …I am at wits end with this fraudulent company. Again, I am out almost $1000 and have product I do not want. I would like all of the charges refunded to my credit card for the product I have repeatedly told Plexus I did not want — however they continue to charge. I also want them held responsible for not only placing customers — but their actual Ambassadors (sellers of the product) in a looping circle of fraud. Plexus said the bulk of the problems consumers complained about were caused by a “sofware” issue. Read the company’s full response to TINA.org’s investigation here. For more of TINA.org’s coverage of MLMs click here. UPDATE 2/14/17: In response to a letter from TINA.org notifying Plexus that deceptive and unsubstantiated claims by the company, as well as distributors, were still in publication despite its assurances that it was enhancing its compliance procedures, the company removed more than 80 videos. Further details can be found here. Multi-Level Marketing – a way of distributing products or services in which the distributors earn income from their own retail sales and from retail sales made by their direct and indirect recruits. Soooooooooo, how many people rushing to Plexus defense AREN’T “Ambassadors” or otherwise financial stakeholders? Looks likeeeeeeeeeee… none? I’ve been waiting a long time to see the truth publicized. Thank you TINA for your continued efforts and diligence in this “Plexigation”! You are appreciated!